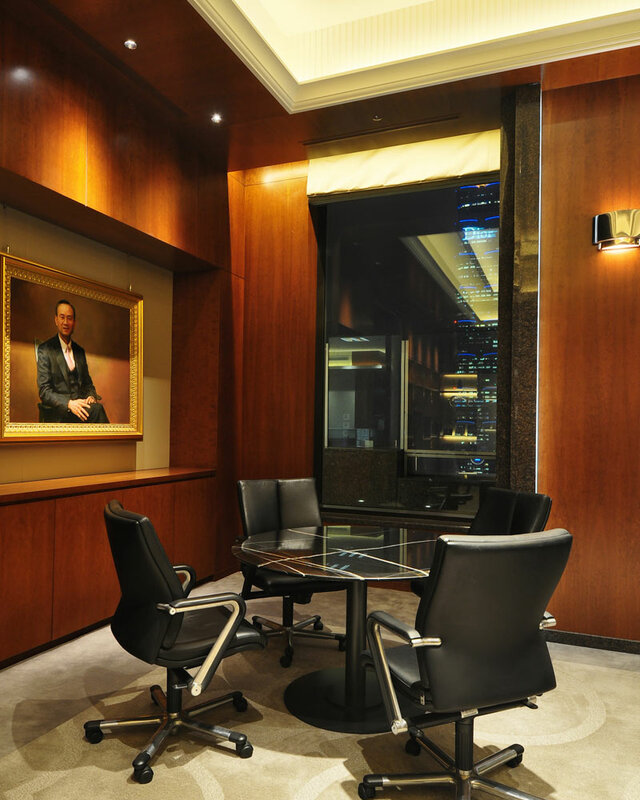 Farglory Development, a well-known Asian developer, moved its headquarter to a new tower in Xinyi District. 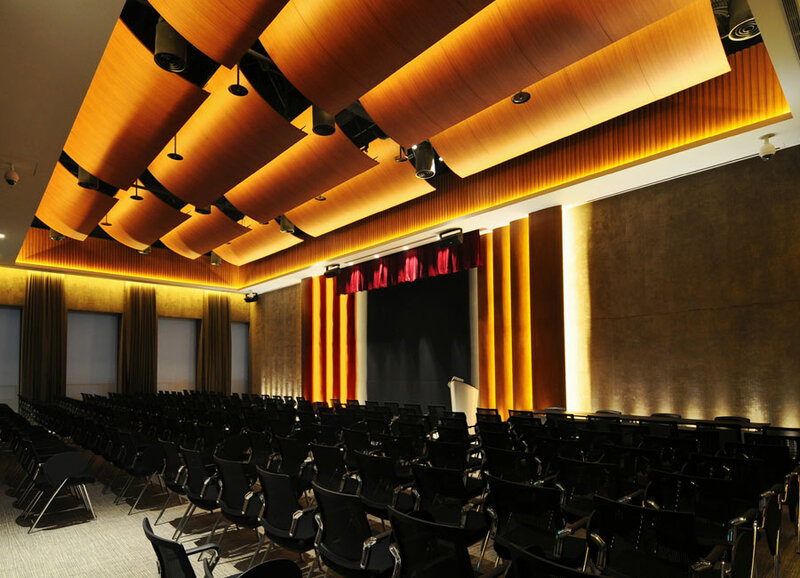 The Farglory Development Building is certified New Construction Gold in LEED. 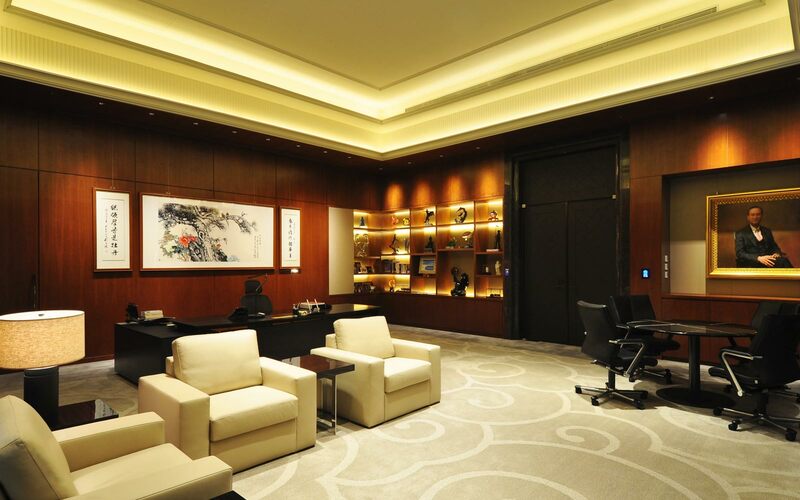 Farglory wanted a prestigious image like a five-star hotel but maintained the functional and comfortable work environment for its staffs. 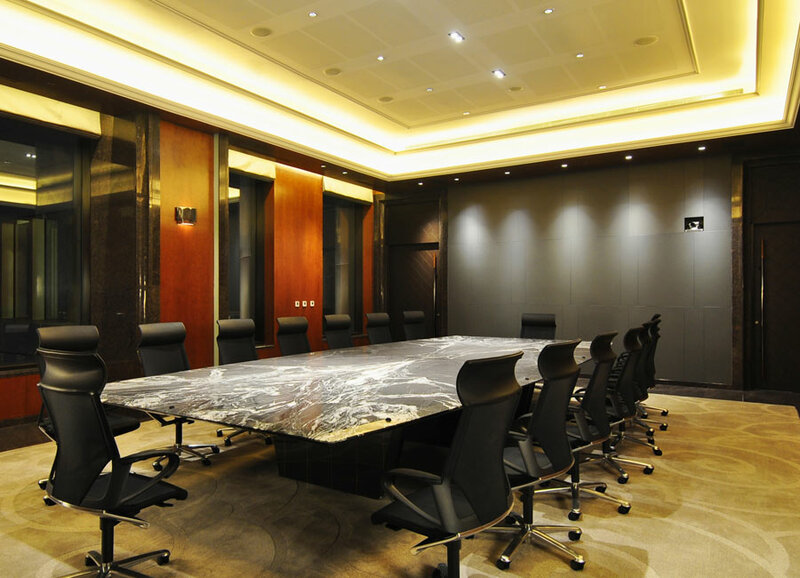 The top floor on the 32nd floor serves as a multi-function room for conferences and banquets, whereby the visitors can enjoy the impressive view of Taipei city. 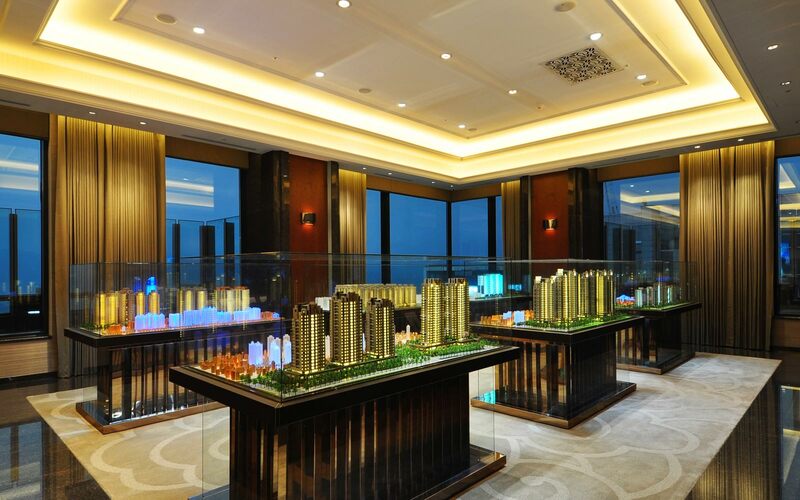 The chairman’s office and their architecture models are located on the 31st floor. 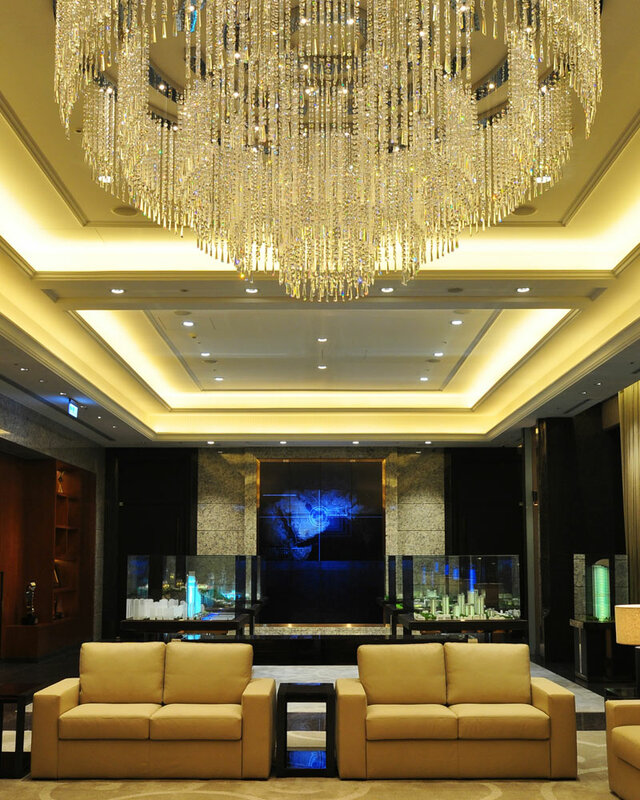 The overall glamorous design theme is carried out with ambient light, chandelier and dark wood.